Last week, as those in the UK and Ireland will know, storm Desmond hit the British Isles. Eighty-mile-an-hour winds and record rainfall caused rivers in the North West to burst their banks, flooding my town. Multi-million-pound flood defences designed to cope with a “one in a hundred years” storm failed to stop the rising water and the army had to be called in with rescue boats to evacuate homes and businesses. Sixty-thousand homes, including my own, went without power for days when the substation flooded. Although intermittent power has now been restored, residents are warned to be as sparing as possible as emergency generators struggle to cope with demand. The road bridges from my neighbourhood on the north bank of the river to the city centre on the south-side had to be closed, cutting off access to the hospital and making it difficult for carers to reach vulnerable clients. Dozens of schools and workplaces closed, bereft children having to make their own entertainment as phone transmitters failed and computer batteries died. Scores of people queued in the streets for the few remaining payphones, previously assumed to be obsolete. Bemused students turned to older folk for instruction, having never set foot in a phone box before much less learned to use one. One friend’s night out on the town turned into a sleepless night on a pub’s stone floor huddled next to strangers for warmth. Another friend’s day trip to Scotland became several nights in a budget hotel thanks to the closure of the North West Mainline. Throughout the city neighbours knocked on pensioners doors to check they were coping, and the few in outlying areas that still had power offered warm food, hot showers and recharging of electronics to those who could get there. During all this meanwhile, I was thankfully tucked up in my parent’s spare room two hundred miles away, guilty watching events unfold on the news and worrying for the safely of friends and family. At the current time I’m not entirely sure what I’ll be going back to. My house is on a hill so will have escaped the water and I’m sure my friend would have mentioned if there were any sign of looting. So long as the boiler relit when the power came back on line the only problem I anticipate is having to throw out food from my newly restocked freezer if it spoiled in the power cuts. Compared to what others have lost though that’s a mere inconvenience. All in all I’m extremely thankful that although this last week must have been miserable for various friends and neighbours, they all seem to have remained safe and some even cheerful. I pray it remains that way as the wind, and rain continue. To borrow a favourite valediction from a friend in the Home Counties, to all my family and friends in the north, “take care up there”. I have mentioned before that one of the most pervasive symptoms of my chronic illness is a form of cognitive dysfunction that makes it difficult to concentrate for sustained periods of time. Of all the neurological, immunological and metabolic symptoms, these cognitive issues are by far the most frustrating. Physical pain and disability would be easier to live with if I could distract myself with creative and cerebral pursuits, but on my best days I am limited to short bursts of activities and on my worst days even simple tasks like watching a film or listening to the radio are beyond my capabilities. As a university graduate who now struggles with simple cognitive activities it can feel as though my intellect has been destroyed by my illness. Clinical studies however, reveal that IQ itself is unaffected by ME but its effects on processing speed and working memory can be extremely debilitating. Without working memory we cannot choose from a simple list of options or remember the logical order of actions needed to complete a task. While people with ME can generally access knowledge that they learned before falling ill, they lose the ability to retain new information easily. This has certainly been my experience of living with the illness. Encouraged to take up knitting for physiotherapy, I had no difficulty remembering the single basic stitch I’d been taught as a child but attempting to learn a new stitch proved an unexpectedly monumental task. Numerous times over several years, my mum patiently demonstrated the same simple action. I would seem to have mastered it every time, until I paused to sip my drink however, or attempted to alternate rows of different stitches, at which point the stitch would be wiped from my working memory and my long-suffering mother would have to show me all over again. A few years ago, being too ill to work, I decided to attempt some distance learning to build up my CV in the hope of future employment. The logical step would have been to build on my undergraduate qualifications with a master’s degree or PhD but my cognitive issues made such high level studies unrealistic. The first course I attempted was pitched at the academic standards of a typical fourteen year old. Despite its short-answer questions and low literacy requirements it took four times as long to complete as the recommended timescale for a healthy adult fitting part-time studies around full time employment. What others could do in an hour took me weeks to accomplish and if I studied for more than ten or fifteen minutes in a day, post-exertional malaise would render me too ill to study again for days after. The best way to explain what it’s like to study with ME is the analogy of a resistance harness a professional athlete might use during training. In order to build muscle and stamina a training partner uses their bodyweight to pull back on the handles and impede the runner’s progress. This forces the runner to expend far more effort for only a fraction of the output while less accomplished athletes running unencumbered might easily outrun them. This doesn’t mean of course the harnessed athlete is incapable of crossing the finish line; it’s simply going to take them much longer to do so. Usain Bolt doesn’t cease to be a world class athlete the moment he’s strapped into a harness, but he will (temporarily at least) lose the ability to put his full potential into action. It may be far more exhausting and take longer to recover from but with patience and perseverance he is sure to cross the finish line in the end. The fact my IQ remains untouched means in theory I am still capable of the same mental feats that once came so easily but it takes far greater effort for a fraction of the productivity. The time-consuming nature of studying with cognitive dysfunction has forced me to go from being the student who went the extra mile to the student who cuts every possible corner and does the barest minimum to get the job done. Difficult as it’s been, a handful of certificates of increasing difficulty testify to the fact that I still have some academic potential, even if I struggle to put it into practice. Any amount of studying, however small, still beats twiddling my thumbs or watching Jeremy Kyle and perhaps some day that elusive Masters or PhD might prove to be possible after all. Watch this space. Apologies to my regular readers for having neglected the blog for so long. Around the time I would normally have been working on a new blog post, my parents (who live overseas) came back to the UK for their summer break. While their visit provided an opportunity to enjoy activities I don’t normally get to do, the pre-emptive resting and post-exertional recovery requisite to being sociable prevented me from doing the more usual activities that fill my time. After a couple of weeks recovery, I am slowly catching up with the tasks I have neglected for so many weeks. 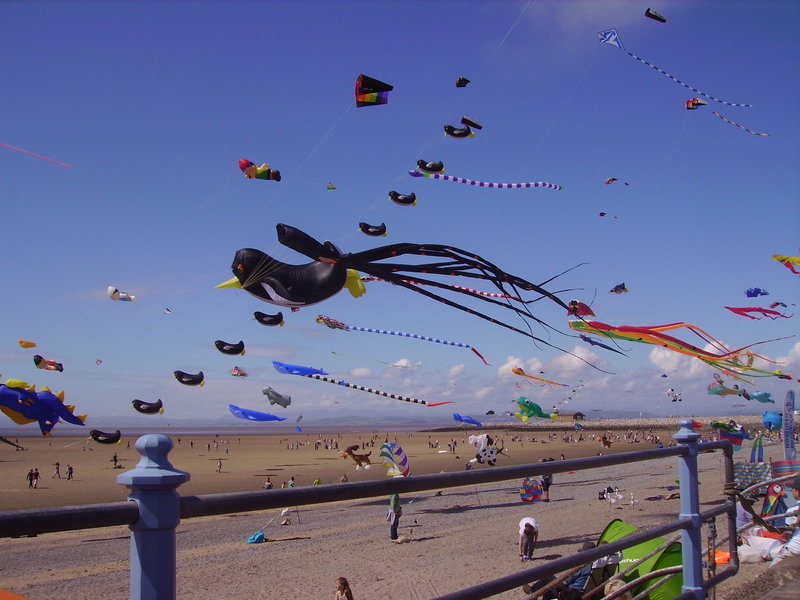 Buoyed up by the memories of conversations over cups of tea, meals eaten in company and getting out in the fresh air to see kites at a local festival, I hope to resume business as usual on Dead Men Don’t Snore very soon. In the meantime, I hope you are all as well as possible and enjoying the summer as much as you can. This week is International M.E. Awareness Week, chosen to coincide with the birthday of Florence Nightingale who is thought to have suffered from M.E. during the last years of her life. It is also the Awareness Week for Fibromyalgia/FMS and Multiple Chemical Sensitivities/MCS: two commonly overlooked conditions that are often co-morbid to M.E. M.E. is classified as a neurological disease by the world health organisation. It affects an estimated quarter of a million people in the UK, 17 million worldwide making it twice as prevalent in the UK as MS and three times as prevalent as HIV or breast cancer. M.E. affects both men and women. Children can also be affected too and it is one of the most common causes of long-term school absence. More than half of sufferers are too ill to work, a quarter severely affected to the point of being bedridden or housebound, often for years or decades. This amount to billions of pounds of lost productivity not to mention welfare costs each year globally. Despite its white, middle class reputation prevalence studies suggest M.E. is most prevalent in poor black and Hispanic communities in America and the Pakistani community in the UK. Limited research suggests the prevalence may be even higher in non-Western nations though limited access to health care and low awareness makes diagnosis less likely. M.E. causes dozens of neurological, immunological, autonomic, cardiac and metabolic symptoms. The most severely affected may be tube-fed, oxygen dependent and require round the clock care. The daily difficulties of living with these symptoms often result in secondary mental health issues. Although the cause is not currently known many neurological and immunological abnormalities have been found. These findings are rarely taught in medical schools meaning many doctors wrongly believe M.E. to be psychogenic and few know how to diagnose or treat the illness. Delay in diagnosis or inaccurate advice in the early stages of illness dramatically increase the likelihood of permanent disability. It is common for patents to wait several years for a diagnosis. There is currently no cure or proven treatment for M.E. The NHS offers only psychosocial treatments despite substantial evidence to suggest these treatments may be harmful for a significant percentage of patients. The media commonly tout these treatments as sure-fire cures and patients are pressured into accepting these treatments or blamed when they fail to produce a recovery. As only outpatient care is available, the most severely affected patients commonly receive no medical care at all. The mortality rate for M.E. is estimated at around 3-6 percent. The recovery rate is estimated to be similar. Lack of adequate research mean no accurate figures exist for either. Although a degree of improvement is possible for many patients, the relapsing remitting nature of M.E. makes it uncertain whether full recovery is truly possible as it is common for symptoms to recur, sometimes after years of remission. Biomedical research is chronically underfunded compared to equivalent conditions. More money is spent globally on research into male pattern balding than is spent on M.E. research. The US government spends $6 million on M.E. research per annum compared to $21 million for migraines, $50 million for ALS, $105 million for MS, $404 million for depression and $704 million for breast cancer. The UK government doesn’t spend even this paltry sum, with what little money our government occasionally does allocate for ME more likely to go into psychosocial than biomedical research. Studies have found M.E. to be as/more disabling than MS, Lupus, heart disease and cancer. In its severe form, specialists have described M.E. as being more disabling than AIDS and terminal cancer until the final days of life. If you haven’t done so already, please consider posting something about M.E. on your own blog or social media page this week (perhaps one of the articles linked below) and/or make a donation to biomedical research. Making Britain better for ‘hardworking people’. Readers from the United Kingdom cannot fail to have noticed the General Election taking place this week. Living on the very edge of my constituency in an area of social housing where few people vote, political campaign teams never usually visit my area. In the half-dozen General, European and Council Elections I’ve voted in since I moved here, I have previously received only one doorstep visit and three campaign leaflets (all but one of which were from the BNP). The desperation of larger parties to avoid a hung parliament however, and the possibility for smaller parties to gain influence in coalition means canvassers have been flocking here for weeks and my recycling box has filled with a rainbow of leaflets. Regardless of party affiliation, every leaflet I have read and every canvasser I’ve spoken to has encapsulated their message in the same pithy slogan: ‘hardworking people’. Whether they are ‘building an economy that delivers for people who work hard and play by the rules’, making ‘hardworking Britain better off’, seeking to ‘listen to the voice of hardworking people’, or ‘looking out for the hardworking, ordinary British person’ the political rhetoric of all major parties sends one resounding message: if you don’t work, you don’t matter. the reasons why you are workless really don’t matter. the simple fact that you don’t work makes you unimportant and undeserving. And yet living with chronic illness, caring for someone with a disability, raising children or searching for employment all involve plenty of hard-graft. My daily life with chronic illness demands far more effort, self-motivation and exhaustion for less reward or recognition than anything I experienced in paid employment. Some of the hardest working, most selfless people I know receive no financial remuneration for their efforts. So if Britain’s political parties only care about people in paid employment, who do you vote for when you aren’t able to work? Who represents the interests of people like me? I sincerely hope the government we elect tomorrow will fulfil their promises to hardworking people, but more than that, I dream of a day when ‘making Britain better for hardworking people’ becomes ‘making Britain better for everyone’. Because only when our system serves the interests of the sick, elderly, jobless and vulnerable as well as the wealthy, employed and physically able can we claim to be a truly democratic and civilised society. Easter Greetings and a Dawn Chorus. I just wanted to take the opportunity to wish every one of my readers a very Happy Easter. My Easter began the same way it has for a couple of years now, with my getting up at stupid-o’clock in the morning to watch the sunrise. This harks back to my teenage years, when I lived in London. The churches in my town would hold a sunrise service on a hillside outside town that gave stunning views across North-West London. (Not that the grey and grainy photo particularly does it justice). My parents would often go away for Easter, leaving us teenage siblings home alone, and (despite not being a morning person) I would drag my sleep deprived body out of bed and creep out of the house while my two big brothers (like every other sensible person) still slept. I’d hitch a lift with friends and stand shivering in a hilltop car park to hear the words of the Easter story and sing hymns to the strains of an accordion as the sun came up above town. The churches in my current town held a similar service when I was a student, in a hilltop park just minutes from my old home, and every year my former housemates and I would decide the night before that we probably wouldn’t bother, and yet invariably find ourselves getting up for it anyway. Of all the things I miss about the way I used to celebrate Easter, the sunrise service, for some unfathomable reason, is the one I miss most of all. Perhaps because as a kids worker, musician and Sunday School teacher, it was the one event of the Easter period where I had absolutely no responsibilities. So, now that I am well enough, I choose to recreate it in my own manner. I open the curtains to watch the sunrise, read the Easter lectionary and liturgy for myself, and think of all the Christians, both known to me and strangers, gathered in churches, homes and even on hilltops, all around the world, to celebrate the most important day of the Christian calendar. The one advantage of watching the sunrise from the comfort of my own home, instead of yawning in a cold field or car park is that I can stay in my pyjamas, wrapped in a nice warm quilt and go back to bed for an hour or so when my little vigil is finished. A luxury that in the past, with three church services, pre-service music practice, dinner with friends and an afternoon walk or trip out somewhere, I simply didn’t have. And while I miss the company of family and friends and the fellowship of other Christians on this important day of remembrance and celebration, I realised long ago, that taking care of my metal and spiritual health is as important, if not more so, than anything I do for my physical health. It is easy when you are chronically ill (and especially housebound) to get stuck in ruts where the days just merge together and every day starts to feel the same. So I try to find small ways of marking high days and holidays, by wearing different clothes, eating different foods, or changing my habits to try and make them different from my normal routines and rhythms. Even when I can’t celebrate in the way I might like to, I try to make a point of marking these days intentionally, creating my own personal traditions to replace the (now impossible) ones I inherited in healthier days. So for the last three years, this dawn vigil has been my Easter tradition. So far, without fail, it has proven too wet, misty, or cloudy to actually see the sunrise, and every year I wonder, as I drag my sleep-deprived body out of bed so early, why on earth I put myself through this. Yet every year I do it anyway. It doesn’t change much in the grand scheme of things: my symptoms have been the same today as any other, and the rest of the day with its medication, physiotherapy, rest-times and carers will be unremarkable too. But by doing just one thing that’s a little bit different, it helps set this day apart and makes it that bit special so when the days ahead start to blur into one again, I have one distinct thing I can look back and smile about. If nothing else, I think we should all occasionally take the time to sit and watch the sunrise (though I know a number of shift workers who will probably disagree with me). And who knows, perhaps next year the weather might be good enough to actually see a sunrise! I can only hope. So whether Easter is a religious time for you, or just a time for friends and family, whether you spend it with others or will spend it alone, I pray that each of you finds your own unique way of making this day a special one. ‘Play in the Park’ Revisited. Last week I went to the park, almost two years since the original post from which this one takes its name. My latest trip was by no means the only time I’ve returned to the park since that first momentous visit, but the sight this time of a circus tent being erected on the very spot as the theatre tent described in my earlier post, gave me fresh cause to reflect on how far I’ve come in the last two years. The thing about chronic illness is that while relapse can strip away months or years of progress (quite literally) overnight, improvements often happen so slowly they go unnoticed from day to day. It is only looking back over a longer timescale it becomes clear, that although you may not yet be able to work, go for walks or manage without carers, you may nevertheless able to sit up a little longer, concentrate a little better or recover a little more quickly from things that would have floored you just a year or so before. Looking back on a blog post then, that feels like only yesterday, I was pleasantly surprised to realise how much improvement I have made in small but significant ways. On that first foray to the park, after several years spent bedridden, I only ventured meters from the gate and stayed just long enough to give my brain sufficient rest from the strain of driving, to make it feasible to make it home. Despite this, I reached home in a state of collapse, was bedridden for days and took more than a fortnight to regain my pre-expedition level of function. Although still by far the biggest activity I am able to do, a trip to the park now takes days rather than weeks to recover from, taking a far lesser physical and mental toll than it cost me all those months ago. This is partly because I am much more accustomed to driving my motorised wheelchair; increased familiarity with the location of safe crossing places, usable dropped curbs, shortcuts through ginnels and alternative routes should the pavement be blocked by badly parked cars, have lessened the intense cognitive demands of navigating what two years ago were unfamiliar streets. These factors alone however, cannot fully account for the fact that two years down the line, I not only sit in the park for a much longer time, but can now manage a full circuit of the path that encircles the playing fields – objective proof that my functional ability must be improving. Visible from the path at the far side of the park is a busy road that runs parallel to the river. In 2012, the Olympic torch relay passed by on that road, and though I would have loved to join onlookers on that road so close to home, it might as well have been a million miles away for all the chance I had of getting there. Now the road and the river are so very close I could almost reach out and touch them. Dare I hope that this year might be the year I make it to the river? The year I sit upon the towpath to take photos of the city just a stones-throw away upon the opposite bank? After almost a decade spent bedridden or housebound, still not able now to venture more than half a mile from home, the footbridge into town seems so tantalisingly close and yet still oh-so-far. I learned years ago not to set a fixed timescale for improvement as failure to meet these ambitions has repeatedly left me despondent, yet life without hope would be even more unbearable, so I keep on hoping anyway. And while my first trip to the park brought only painful reminders of how far I had fallen since that glorious summer of 2004 when (despite undiagnosed illness) I worked there as a theatre-hand, the sight of circus hands working on that same field last week, transported me back across the years to happier, healthier days before relapse took away my ability to work. And perhaps, if you’re willing to forgive the self-indulgence, I may make that the subject of a future post. Miss P on Intellect and M.E.